On Your Way to VNA? As you may know, late last year Vital acquired Karos Health. We had been working with Karos for some time to source VNA and diagnostic viewer technologies. Over time we realized their technologies complimented our own so well that we decided to bring them into the family. As I look at the industry landscape, opportunities abound to improve workflow and access to data. Time after time we hear from customers struggling to integrate multiple facilities, access imaging across multiple PACS, route priors, ingest external studies without turning their PACS into a garbage dump and generally get meaningful use out of their existing VNA and PACS investments. 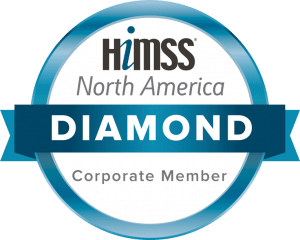 One of the biggest innovations we are bringing to the market now, and showing at HIMSS, is our ability to seamlessly aggregate multiple data sources, including external data. While a VNA is a great option to provide a centralized management for imaging and other clinical data objects, it’s not the only way to enable open access to all imaging to all users. With the right solution, access and management are separable concerns. Unfortunately, they are too often lumped together by vendors with inadequate technical architectures. We often see customers with multiple clinical sites each with different vendor PACS, and one of the PACS needs replacement. PACS vendors often propose migrating everything to a single image management solution across the enterprise. The proposals are typically very expensive, and require years to implement before image data from all enterprise sources can be presented. It is possible to provide access to your images now, without a long, up-front migration effort delaying the benefits. This enables facilities to pursue a more cost-effective consolidation effort in the background or at a later date, without disrupting existing investments. For example, we can provide federated access across multiple DICOM devices. Our enterprise and diagnostic viewers directly access images from multiple archives, whether local or remote. We provide proactive pre-fetch solutions across facilities and patient domains to enable access to priors from disparate PACS, tag-morph that data to ensure hanging protocols work properly, ingest images from external sources and automatically match based on patient demographics, forward to PACS cache for priors comparison or permanent ingestion or queue for manual reconciliation when appropriate. In fact, our solutions are so flexible we’re often brought in to shore up functionality and help make a previous VNA purchase from another vendor or a PACS replacement successful, and we’re thrilled to have the opportunity. So, whether you’re considering a VNA, or trying to figure out how maximize the infrastructure you have already invested in, Vital can help get you the promised value. Don’t forget to stop by our booth #3969 at HIMSS to see how we can help.